When we think of performance enhancing substances, our knee-jerk reaction is to think of steroids and the other substances explicitly prohibited by Major League Baseball. It’s easy to conflate performance enhancing substances with the prohibited substances lists, but these are two unrelated groups. There are a number of supplements which do not fall under the umbrella of prohibited substances, but might be considered performance enhancing substances. Supplements claim to do everything from enhancing focus and increasing endurance, to aiding recovery and preventing injury. While there isn’t a lot of rigorous scientific evidence to support these broad claims, there is just enough research to fuel this multi-billion dollar industry, and supplements are becoming increasingly popular with baseball players. They may not carry the threat of an 80-game suspension, but these supplements can pose risks to players’ health, especially for minor league players without significant financial means. The marketing of dietary supplements is highly dependent upon the timeframe in which a consumer expects to see results. Humans are impatient creatures, and we like to see results fast. When a product markets itself based upon its long-term health benefits, the consumer places a certain amount of uncritical trust into the manufacturer’s claims. There may be clinical research supporting the science behind the products, but long term studies take years to demonstrate long-term health benefits, such as improving heart health or cognitive function. Many nutrition and supplement studies are mechanistic in nature, and study certain biomarkers which are thought to be connected to oxygen flow, inflammation, or an immune response. There is often inconclusive evidence linking these biomarkers to actual improvements in performance, which is why many sports nutrition studies are based on evaluating any changes in activity or behavior in a subject. This can be subjective, but there are some tangible, quantifiable measures. Fatigue or endurance may be quantified by looking at the distance a subject can travel in the same time period, for example. This benefit may manifest itself as a few more minutes on the treadmill, extra weight on the dumbbell, or an extra repetition in a weight lifting set, all of which are much easier for the consumer to gauge than a general health claim. Thus, for an athlete who might benefit from any slight performance enhancement product as soon as this week’s series of games, dietary supplements are an easy sell. Supplements have moved far beyond simple vitamin, mineral, and protein based products. A rapidly growing segment of the market includes supplements which claim to decrease inflammation and improve muscle repair, support joint health, and hasten healing. Some of these compounds are easily found in food sources; epigallocatechin gallate, a component of green tea, allegedly aids metabolic health, while omega-3 fatty acids, commonly found in fish, are thought to support brain health, decrease muscle soreness, and reduce swelling. There are complex carbohydrates and sugars that occur in nature which provide an energy source, and many caffeine and sugar-based supplements claim to increase endurance and energy levels. However, the industry is moving beyond substances found in dietary sources; these carbohydrates and sugars aren’t found in your typical pasta or run-of-the-mill granulated white sugar, and these specialty molecules bear only a passing structural resemblance to glucose. That said, the majority of the sports nutrition supplement market is still dedicated to protein supplements for increasing muscle mass. Protein supplements run the gamut from protein bars to protein drinks, either in ready-to-drink formulations or as powders, to be mixed with water, milk, or a smoothie. While it’s easy to think of protein supplements as primarily existing in the domain of bodybuilders, protein supplements are just as likely to be on the shelves of your local Target or Walmart as they are at a gym or GNC, as there is scientific evidence supporting the importance of protein intake to help with building muscle and avoiding or treating muscle injuries. Generally speaking, protein supplements are aimed at building skeletal muscle, voluntary muscles that are responsible for movement; it’s the most visible type of muscle, forming the bulk of the human body. A typical workout regimen induces small tears in the muscle, and allows for a period of recovery, wherein the body repairs the muscle. In a sense, we are harnessing the body’s inherent recovery mechanism to not only repair the damage that we ourselves caused, but to improve upon what already exists. The term “rebuild” implies that we’re simply fixing what is already there, but in actuality, we are building a stronger muscular structure. The construction materials we use for the rebuilding process are amino acids, the basic building blocks of protein. The human body digests dietary protein into amino acid molecules, which can then be used to repair muscle. Amino acids are involved in other biological processes not directly related to protein synthesis; for example, creatine, which assists in the synthesis of adenosine triphosphate (ATP), a molecule responsible for energy transfer within cells, is synthesized by the human body using the amino acids glycine and arginine. Creatine supplements are often taken in conjunction with protein supplements, allegedly to increase energy levels in conjunction with muscle repair. Other supplements contain “branched chain amino acids,” commonly referred to as BCAAs, which typically refers to three essential amino acids: leucine, isoleucine, and valine. They are deemed “essential” because the human body cannot synthesize them, and we must obtain them in our diets. BCAAs are necessary for protein building, and they are also thought to promote muscle recovery and improve the immune system. Protein supplements are often characterized by the source of protein, such as from whey, casein, or soy products, and one way to distinguish between these sources is to evaluate the amount of BCAAs they provide. Stimulating muscle protein synthesis post-workout is dependent upon the availability of amino acids; hence the attraction of consuming amino acids in their free form, skipping the steps of converting dietary protein into amino acids. While there is general evidence suggesting that certain supplements are beneficial, there will always be variation from person to person – what works for one person may be completely ineffective for another person, and what doesn’t cause adverse side effects in one person may be detrimental to another. But there are a few factors which are consistent for the average male athlete. Studies indicate that the timing of when protein is consumed is critical; ideally, protein is consumed within a finite post-workout window. Additionally, there is overwhelming evidence that the human body can process only a certain amount of protein at a time, and ingesting more than 30 grams of protein in a single meal will not enhance muscle protein synthesis. In other words, someone who seeks to build muscle mass should space protein intake out throughout the day, after a workout, and shouldn’t consume all the protein for the day in one sitting. That would be a tall order even for the average person, who is advised to consume 0.8 grams per kilogram (g/kg) of body weight. Let’s say the average male in his 20s weighs roughly 80 kg (176 pounds); the recommended daily allowance of protein for him corresponds to 64 grams of protein per day (0.8 g/kg multiplied by 80 kg body weight). In comparison, the guidance for athletes suggests over twice as much protein, at 1.6-1.8 g/kg of body weight. For a professional baseball player, we’ll use 95 kg as an average for body weight; a sports nutritionist and a strength and conditioning coach would recommend 171 grams of protein per day (1.8 g/kg multiplied by 95 kg body weight). To put that into context, that’s the equivalent of eating 28 eggs or four skinless chicken breasts in a single day. To optimize protein intake for muscle repair, an athlete who is expected to consume 171 grams of protein per day should divide that amount into 20-30 gram portions, essentially consuming protein at least six times per day. While one could conceivably keep hard boiled eggs on hand at all hours of the day, it’s rather inconvenient compared to carrying protein bars; in this context, it’s not surprising that protein supplements are fueling a multi-billion dollar a year industry. But are they safe? Despite all of the claims supplements may make regarding improving one’s health and well being, there is very little regulatory oversight regarding the safety or efficacy of supplements. The Food and Drug Administration does not regulate supplements for efficacy, purity, contaminants, or safety. While drugs fall within the purview of the FDA, dietary supplements are not subject to the same regulations. They are regulated under the 1994 Dietary Supplement and Health Education Act, which the dietary supplement industry had a hand in creating. The act specifically forbids the FDA from requiring that dietary supplements must be effective, or even safe. Thus, the products that you find on the shelves of your local drugstore or mass market retailer may not have been tested for contaminants or adulterants. In fact, in a 2015 study conducted by the New York attorney general’s office, four out of every five supplements sold at Walgreens, Target, Walmart, and GNC did not actually contain any of the herbal ingredients listed on the bottle. And labeling is not regulated, so long as there are no truly preposterous claims being made, such as those alleging that a product is as effective as a prescription medication. 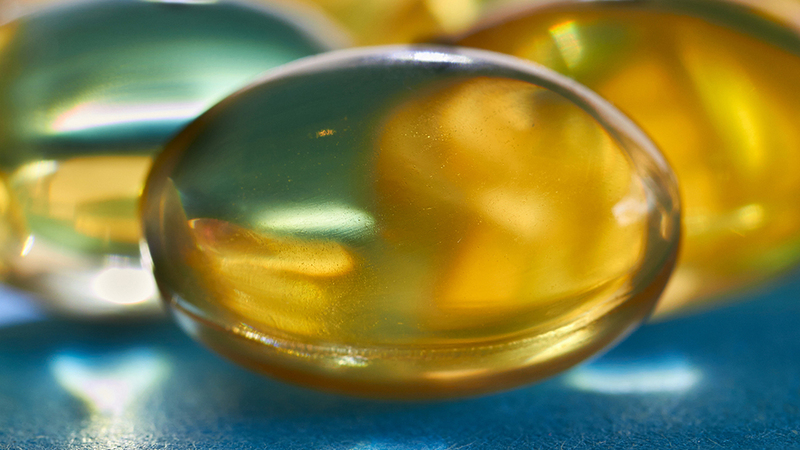 The manufacturing of dietary supplements is a black box of its own; dietary supplement manufacturers are under no obligation to report how or where their products are being made, or the source of their raw materials. Very few vitamin manufacturers are based in the United States, so the majority of the raw ingredients in many supplements are obtained abroad, where regulations are just as lax. To circumvent this issue, consumers are advised to refer to ratings on a website such as ConsumerLab.com or to look for the United States Pharmacopeial (USP) label. The USP Convention tests vitamins and supplements to verify that they actually contain what they claim, in the amounts they claim. USP testing also ensures that the products are free from contaminants and produced in clean manufacturing facilities. The USP verification process is sufficient for the average consumer, buy athletes must answer to professional sports leagues, and the World Anti-Doping Agency and Major League Baseball have explicit lists of prohibited substances. MLB provides training to all players in shopping for dietary supplements; as a general rule, players are advised to look for the “Certified for Sport” label as designated by NSF International (not to be confused with the National Science Foundation). Manufacturers may apply for the “Certified for Sport” designation by providing labeling information, including the ingredient list; information about the manufacturing facilities; and information about the ingredient supplies. NSF then evaluates each product not only for impurities and prohibited substances, but also assesses the manufacturing facilities’ adherence to good manufacturing practices (GMP) and auditing the manufacturer’s ingredient suppliers. NSF “Certified for Sport” products are tested annually, and NSF continuously monitors the ingredient supply chain as well as products in the marketplace. There is a list of NSF Certified for Sport products on the NSF website, and there is even an NSF app for mobile phones. Players are strongly urged to use only NSF “Certified for Sport” products, by both MLB and the MLBPA. If there are questions, players are advised to contact a team representative, typically a trainer or performance specialist, or a representative from MLBPA. Tim Maxey, the MLB-MLBPA joint strength and conditioning coordinator, meets with every organization at least once per year, usually during spring training, and provides training and education regarding all things fitness and nutrition related. Even with this guidance, it is important to remember that the FDA, the USP and the NSF do not test for efficacy; this is very clearly stated on each of their websites. NSF Certified for Sport guarantees only that the contents of the bottle match the label on the bottle and that there are no prohibited substances and no contaminants. But the Certified for Sport designation simply means that a manufacturer paid for a quality control certification, and not any sort of clinical research that would support any performance building claims. When you have a home with a fully equipped kitchen, and the finances to purchase unprocessed, whole foods, eating a healthy diet is relatively straightforward. Lean chicken and eggs are relatively inexpensive sources of protein, and fresh produce is readily available around the clock in major cities. Those with the means have the option of hiring their own personal chefs, and experimenting with more specialized diets. We know of many major league players who have explored a variety of diets to find out what works best for them. Some are more extreme than others; Mike Trout incorporated more vegetables into his diet, while Pat Neshek eschewed animal products entirely and opted for a vegan diet. Jayson Werth and Mark Teixiera reportedly maintained a gluten-free diet, with Werth additionally advocating for organic foods. Even for the players who do without a specialized diet at home, major league clubhouses are hiring chefs to provide healthier clubhouse food options, all under the guidance of a team nutritionist. Clearly, major league players have adopted healthier eating habits, with the support of teams. Indeed, the MLB Labor Agreement stipulates that each organization will “establish a Player/Management Advisory Council that will work with a full-time chef and registered dietitian to improve clubhouse nutrition,” and a dietitian provides recommendations to players and teams on nutrition and dietary supplements. However, as with many things MLBPA related, this applies only to the major league players. While the team nutritionists may provide guidance to the minor league players, these recommendations cannot come to fruition without financial backing, presenting a hurdle to young men who are still in various stages of mental and physical development. We have seen this time and time again: Minor leaguers aren’t exactly living in the lap of luxury. They may not have a kitchen, or even a microwave or a hot plate. True, major league players have road trips, too, but minor league players are often playing in food deserts, and the clubhouse spreads aren’t as grandiose. Kapler suggests choosing a 160-calorie chicken thigh, providing 15 grams of protein, over a popular protein bar: “Let’s be honest – you eat the Quest bar because you can’t find something natural that tastes like candy but provides 20 grams of protein in only 170 calories.” However, it’s just as likely that someone is choosing a protein bar because it’s much more convenient to carry a protein bar in your backpack than a cooked chicken thigh; they are convenient, portable, and easy to digest. And when you’re looking for any advantage or improvement, no matter how slight, it’s no wonder the temptation to rely upon supplements to, well, supplement what foods are readily available to them is so strong and almost unavoidable. We already know that baseball players are susceptible to the temptation to take anything to get ahead, no matter how small the potential is for improvement. But we need to recognize that this isn’t just a matter of spending money on potentially ineffective products or accidentally ingesting a prohibited substance; this is a health issue the baseball community has experienced first hand. In the late 1990’s, ephedra was found in many weight loss supplements, and by 2000, the New England Journal of Medicine published a review of a number of serious adverse health events thought to be caused by ephedra use. Although the use of ephedra had been prohibited by other professional sports leagues, it was not until the death of Orioles pitcher Steve Bechler in 2003 that MLB also banned the use of ephedra and ephedrine alkaloids, and the FDA followed suit in 2004. It’s worth noting that there are herbal supplements on the market containing the compound p-synephrine, which shares chemical structural features with ephedrine; a synephrine compound is currently on the MLB prohibited substances list. MLB should be commended for taking action where the FDA lagged, but it remains that there is very little oversight when it comes to the efficacy or safety of dietary supplements, and the certifications that are available are paid for by companies who are trying to sell their products. As always, we need to weigh the benefits in view of the risks involved. Some supplements may provide marginal benefits, but many of these benefits can be achieved through eating a healthy diet, which also helps minimize the risk of adverse effects or of unknowingly ingesting a prohibited substance by opting for food over dietary supplements. But when we may not have a refrigerator or a hot plate, it’s a lot easier to reach for a protein shake. While Certified for Sport products assure athletes that they aren’t consuming any contaminants or prohibited substances, there are no assurances as to the safety or efficacy of dietary supplements. Thanks for the well sourced article Stephanie. I enjoyed it. As Gabe Kapler continues to sound too dang intense in managing players’ lives. Let’s hope he keeps his testicle-sunning advocacy to himself. Check out Labdoor. They evaluate the purity of all major OTC supplement brands.